"Yes, there are gorgeous and multi-layered renditions of long-loved classics ("Shortenin' Bread," "Cluck Old Hen," "Sail Away Ladies"). But the stand-out joy of Colored Pencil Factory by Astrograss is in the nine original songs by the sharply honed writing team of Jordan Shapiro and Joe Grossman." 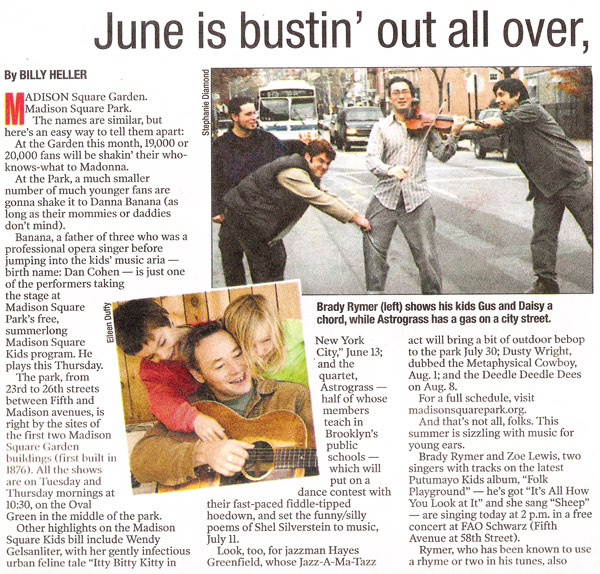 "TURF TUNES: Brooklyn-based band Astrograss has been serving up the best in family-friendly bluegrass for years. If you haven’t seen them yet, take advantage of what’s sure to be a great live show promoting the new CD “The Colored Pencil Factory” at 92Y Tribeca. 11 a.m., $15. 200 Hudson St.; 212-601-1000, 92ytribeca.org"
The Colored Pencil Factory is a NAPPA Award Winner in 2012! "Bluegrass music – with its emphasis on poverty, cheating, drinking, and the occasional murder – is not always child-friendly. 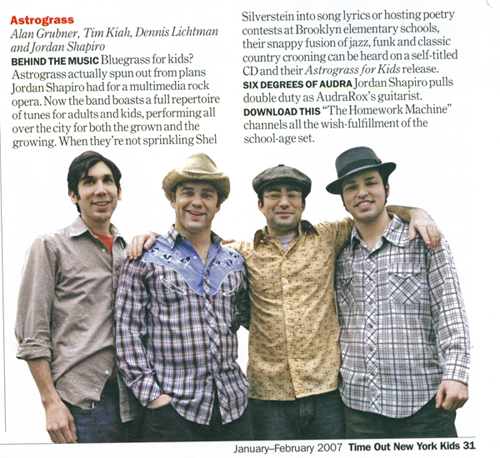 Astrograss, a Brooklyn-based bluegrass band, turns all of that on its head with The Colored Pencil Factory on Smoggy Borough Records. 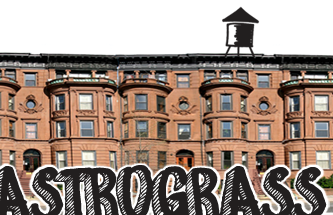 Playing old-timey favorites like "Sail Away Ladies," "Shortenin' Bread," and "Cluck Old Hen," Astrograss plays familiar, hummable tunes, along with new ones written by guitarist Jordan Shapiro and co-writer Joe Grossman. Don't worry, bluegrass snobs, it's a skilled musicianship that would make Bill Monroe smile." 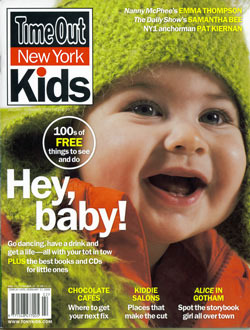 "This project is aimed at the pre-teen audience, but it is just as much fun for the adult listener." "If you’re finding your energy level running low this holiday season, just play Astrograss’s latest album “The Colored Pencil Factory” and watch as your whole family vainly attempts to repress happy smiles and tapping toes. 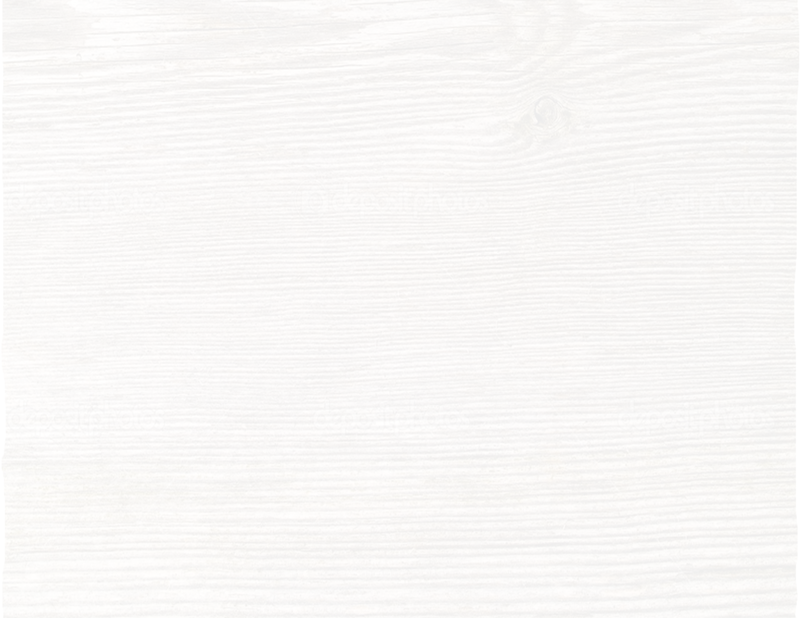 This contemporary bluegrass CD, thrumming with the sounds of guitar, fiddles, banjo, and mandolin, is a delightful way to introduce American folk music to a new generation of listeners." 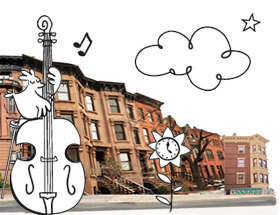 "The musicianship is impressive and works with both classic and original lyrics to entertain the kids." "buy the thing for yourself to listen to over and over and over again, just like I’ve been doing for months, while keeping your eyes peeled for “pink in a Popsicle sunrise” and living “life where the sparkles in your eyes make every day a birthday surprise.Sweet mother of pearl, I love the stuffing out of this song." The Midwest Book Review reviews the new album! 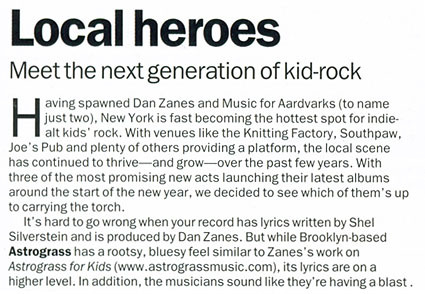 "Family-friendly bluegrass band Astrograss presents their latest album The Colored Pencil Factory, a tuneful music CD intended for listeners of all ages. The Colored Pencil Factory is more than just entertainment; its songs chronicle how the art of bluegrass and folk music originated and evolved, becoming a treasury of cultural history, and speaking to problems both historic and modern. The songs draw upon a range of styles from Appalachian mountain music to traditional bluegrass, progressive bluegrass ("newgrass"), and even Eastern European folk, but all of them have an undeniably catchy cadence. A great introduction to the wonderful bluegrass tradition, The Colored Pencil Factory is highly recommended". 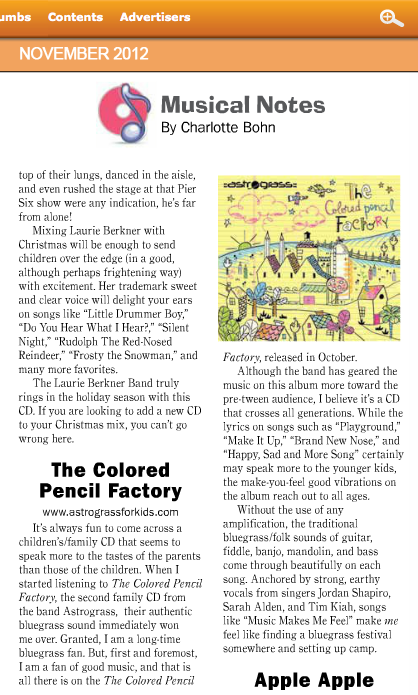 In "What's New: This Month" section of the November issue, Today's Parent features The Colored Pencil Factory as the only new kids CD to check out! "Listen Up! Folk-bluegrass hybrid group Astrograss combines witty lyrics and yee-haw-worthy sounds in their latest album, The Colored Pencil Factory. 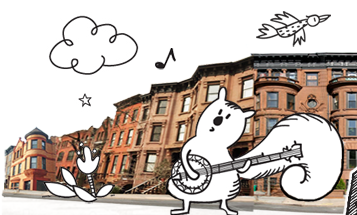 From the folklore song, "Shortenin' Bread" to the twangy tune of "Hey Blue Dog," their lyrics tell silly stories that are sure to amuse." 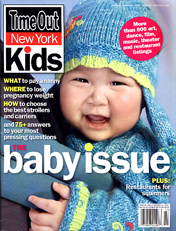 The judges at the 2012 Kids & Family Music Awards choose Astrograss The Colored Pencil Factory as one of the top 10 best kids and family music titles of the year!